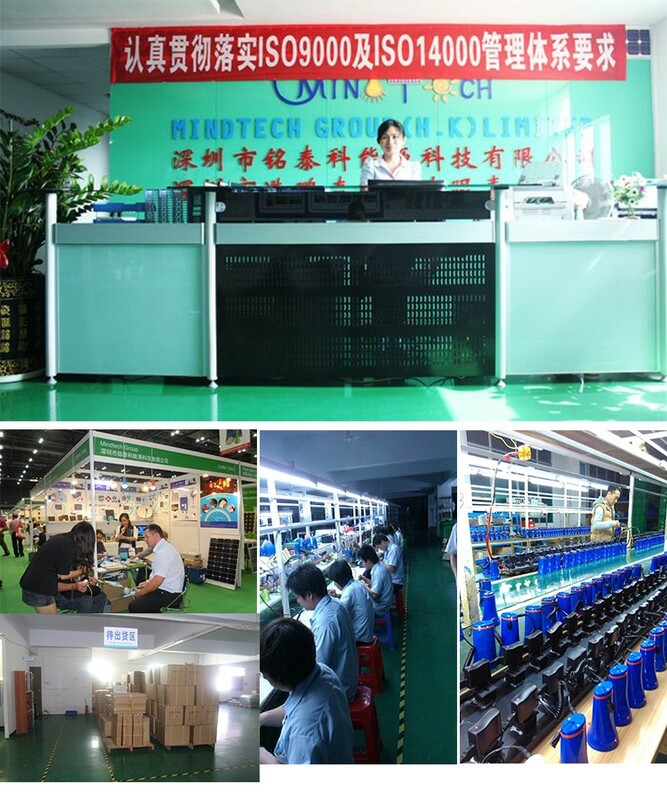 1.Established in 2004, Mindtech Group(HK) Limited is one of the solar energy enterprises. 2.Our company integrates with R&D, manufacturing and esporting in solar home lights, solar home system series, solar mobile chargers and solar inverter. We are commited to providing innovative solar energy solutions to catering different market demand. 3.As a manufacturer, we welcome all OEM&ODM, we can also design the packing and the products as customers require. 4.Our aim is to provide customers with reliable, informative and efficient services at reasonable prices, we hope to grow with our customers to create a brilliant future. Copyright 2017 © Mindtech Group(HK) Limited. All Rights Reserved.